Import barriers and bureaucracy have been affecting some fashion groups operating in Argentina. According to Clarin newspaper, Ralph Lauren is planning to leave the country. Ralph Lauren, entered Argentina in 1999. The luxury fashion house has a flagship store on Avenida Alvear and two other shops - one in Galerías Pacífico and one in Unicenter shopping mall. 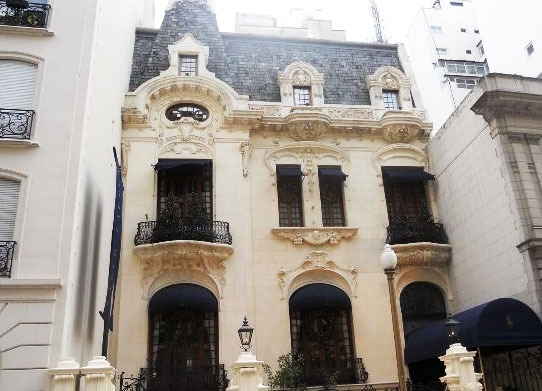 Initially, the company is considering to stop operating the flagship of Alvear. Armani, Escada- operated in Argentina through a representative and Yves Saint Laurent are other foreign companies who have left the country. In the last couple of years, Argentina has launched a protectionist policy to reduce imports which affects both China and the United States to Europe, and Brazil, its largest trading partner. Luxury consumption in Latin America has had an annual advance of 15% over the last ten years. The region's leaders in this segment are Mexico and Brazil. Argentina, despite a growing potential for consumer spending, is below in the ranking. I may exceed in optimism, but I think Ralph Lauren may find a way to stay. At least, I hope.